If you want to experience a perfect golfers’ vacation escapade, stay at Thousand Hills Golf Resort in Branson. The resort is located near the famous 76 Country Music Boulevard in the heart of Branson, Missouri. Thousand Hills Golf Resort is home to one of Branson’s most popular golf courses. The award-winning 18-hole golf course is played each season by thousands of golfers from around the country. This golf course is equipped with challenging tees and fairways. The course has 9 par 3’s, 8 par 4’s, and one par 5. This golfers’ perfect vacation destination has everything a golfer needs. From comfortable accommodation to golf equipments, you name it, you got it. Golf Digest magazine in 2009 rated 4-Stars this 18-hole golf course and was voted Best of the Ozarks by the readers of the Springfield News. 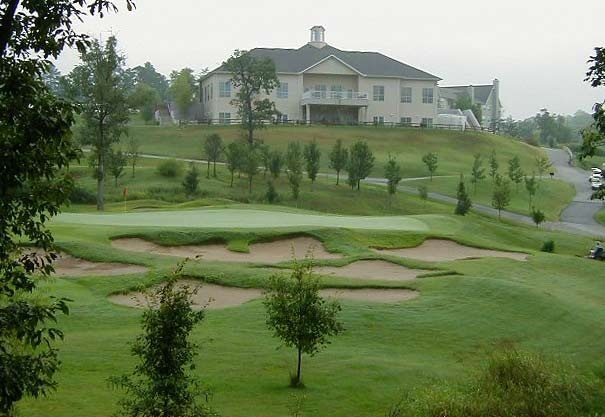 Thousand Hills Golf Resort’s popularity was gained from its ability to cater different golf skill levels. From neophyte to professional golfers, the three separate sets of tees will assure you that the golf course remains challenging and fair for all golfers with no discrimination on age and experience. The location of this 18-hole golf masterpiece is another benefit as the place allows you to see beautiful wooded forests, unique rock formations, and over Ozark streams. Here, you would never think that you are near the 76 strip and Branson’s world-famous live entertainment shows. The place is also within 10 minutes drive from Tale Rock Lake and 5 minutes from Lake Taneycomo that will let you see great outdoor attractions. With the beautiful location of the golf course, you will surely enjoy the spectacular combination of beautiful sceneries and challenging holes. There were already thousands of golfers that have played in this golf resort in Branson since 1993 and many of them were satisfied and came back to play again. Thousand Hills Golf Resort offers senior flags allowing senior golfers over age 55 to drive in the fairways on days especially open only for them. The implementation of the senior flag was made in the fall of 2012. Aside from the senior flags, a new cart paths have been built so that walking to the greens comes easy and comfortable. The senior flag system and the new cart paths can help make the senior golfers become more interested to play golf often. The golf course at Thousand Hills has been re-routed for a better flow and faster round of golf playing. The re-routing of the course has put the difficult par later in the round and not after the easiest hole on the golf course. The change after the re-routing will reduce the typical round to four hours or less. Golfers still get the same great 18 holes but can be played in a little less time. Some of the maintenance practices at Thousand Hills Golf Course have been changed to expedite every round of play. If you want to play golf at Thousand Hills Golf Resort, visit this resort now and enjoy a perfect golfers’ vacation escapade in Branson.